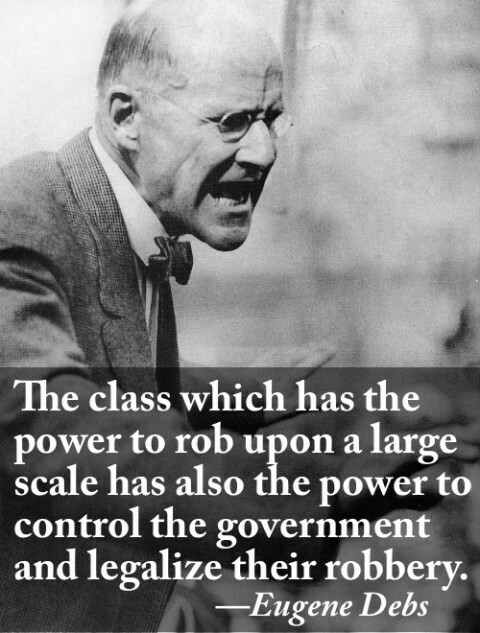 Debs spoke these words decades ago, but they are more relevant now than ever. Debs predicted exactly what Sandy Weill pulled off with the Citicorp/Travelers Group merger which was illegal under Glass-Steagall. Until it was made legal after the fact in ’98. With a little help from Weill’s friends in congress and the WH.